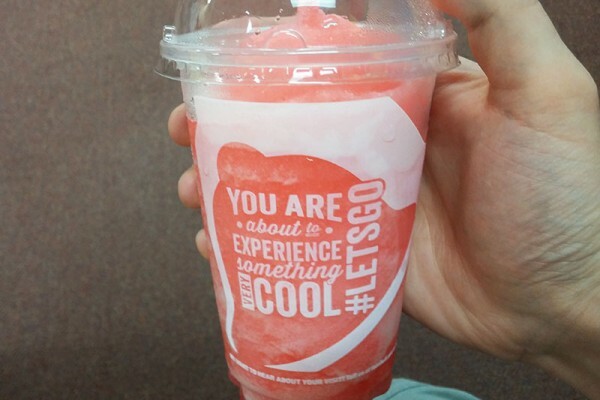 After I saw the announcement of the Starburst Flavor Freeze, my coworkers and I decided to visit Taco Bell the day it was released during happy hour to try it. 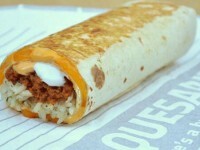 Surprisingly, at 2:00, the place was packed, and many people were ordering the new freeze. One of my coworkers called it “Liquid Candy” while another suggested it had “Pucker Power.” I thought it was just going to be a straight strawberry frozen drink and the Starburst name was just a selling point (I’ve seen this done with McDonald’s Rolo McFlurry which just used smashed chocolate pieces and the regular caramel from sundaes, not real Rolo pieces). What we got was a freeze flavor that tasted exactly like pink Starburst fruit chews. By identical, I mean if you could blend up a bunch of candy, freeze it, and make it into a drink that is what you would get. 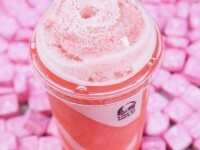 It tasted like a very sweet candy drink. 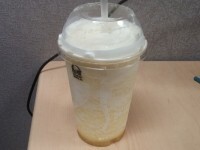 It did have a tinge of sourness, not like the Mt Dew Baja Blast Freeze. I think it is an excellent addition to the menu. It seems like a summer drink not necessarily in mid-October. Hopefully it sticks around. Hunger Filling Grade: N/A – The drink really is like liquid candy. I’m not sure it would really go well to complement an actual meal. It seems prefect for happy hour when you and your friends want to get out for a while and have something sweet. Value Grade: C+ – The regular size is about $1.99 ($1 during happier hour). Compare that to 7/11 Slurpees that you can get for about $1.00 with much bigger cups, you have to really want to try the flavors to get this. The cups aren’t very big. 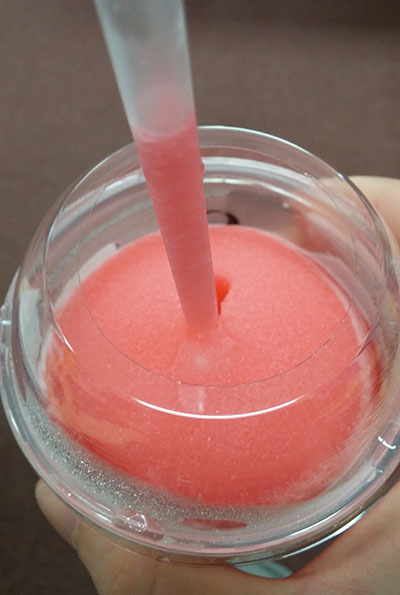 If you are just looking for something cool and don’t care the flavor, and don’t mind getting out of your car, go to 7/11. Bottomline – A great offering. It doesn’t really fit with any meal (being super sweet), but on its own, it is very tasty and refreshing. 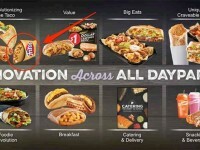 Did Taco Bell Reveal A Fritos-Shell Taco and Catering?